Since we last posted, we have covered some significant territory. 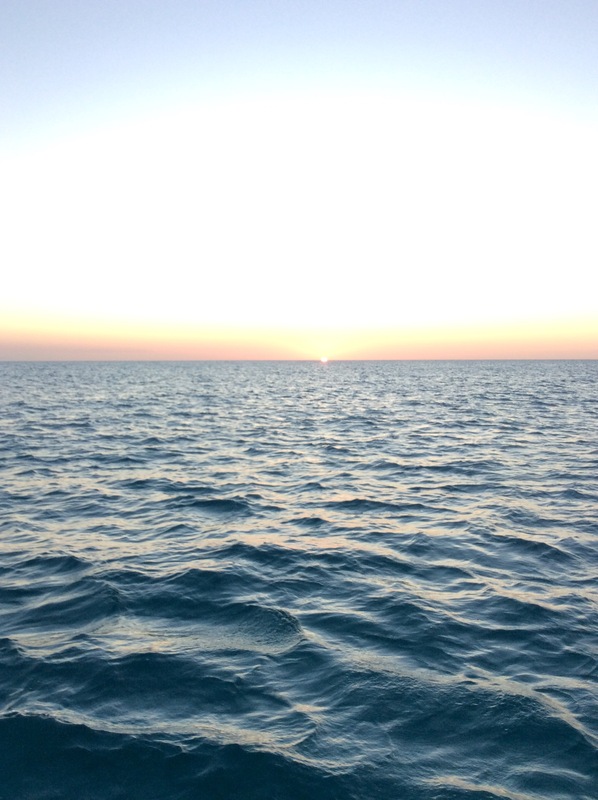 We left Clarence Town, Long Island on January 20 to continue our voyage south. The route we elected to follow took us through a fairly remote section of the Bahamas so we really did not expect to see many other boats along the way. Our first day out we stopped to anchor in Atwood Harbor, Acklins Island. The harbor is fairly small with a beautiful white sand beach, protected from weather in all but a northerly swell. 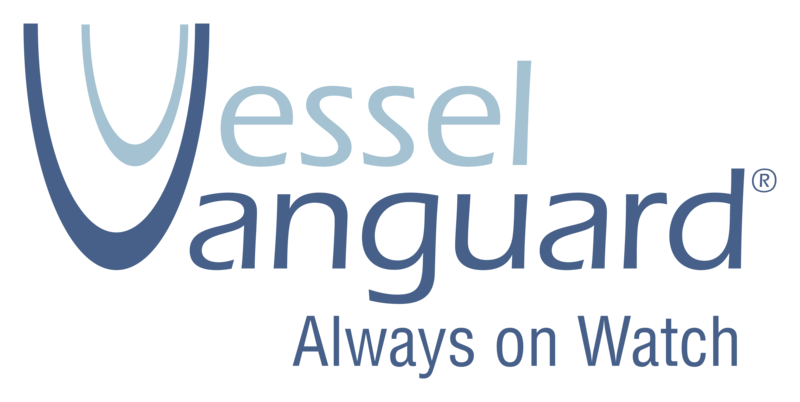 Since we had been underway for 10 hours without seeing another vessel either visually or on the radar, you can imagine our surprise when two sailboats showed up to anchor just after our arrival. The good news is the harbor had plenty of room and we all settled in for a good nights rest. The next day, we were underway at first light, our destination, Abraham’s Bay, Mayaguana. Mayaguana is one of the southernmost Bahamian islands known primarily for the role it played during the heyday of the United States manned space missions. At one point the US had an extensive missile tracking complex on the island. That complex has long since been shut down and the only reminders of it’s past existence are an 11,000 ft runway, a dilapidated and unusable cargo ship dock and a decaying series of fuel tanks. On our trip in we spent most of the day motoring in company with the 177′ Megayacht “Bacchus”. Bacchus continued on non stop to the Turks and Caicos but given that we had left our professional crew behind in Safety Harbor, we elected to stop for a good nights rest before pressing on to our next country. Our arrival into Abraham’s Bay was uneventful and we spent the night in our 5 mile long harbor completely alone. After one night in Mayaguana we were off to the second foreign country on our itinerary. As we approached the Turks and Caicos we found a great deal more traffic in the area than we had seen in the southern Bahamas. The radar and AIS were both lighting up with constant targets as we approached the Caicos bank from the north. 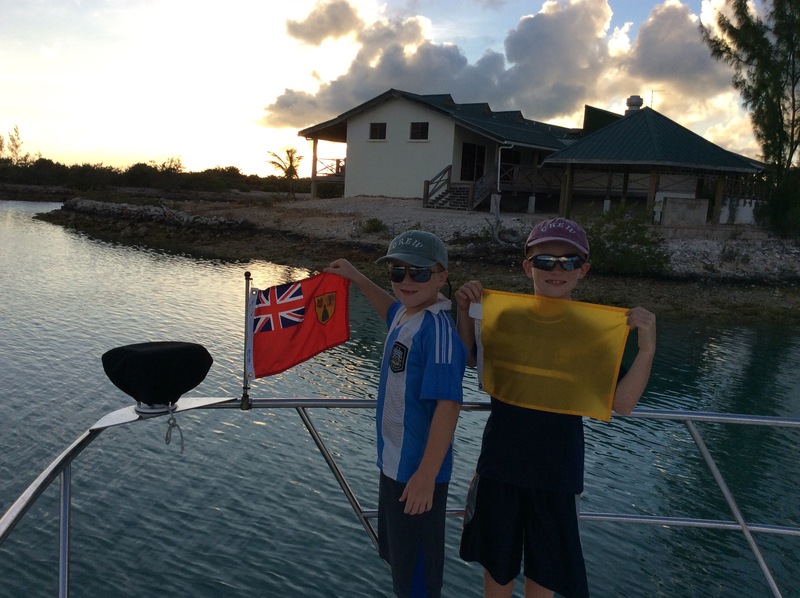 Upon entering Turks & Caicos waters, Ryan hoisted the quarantine flag. 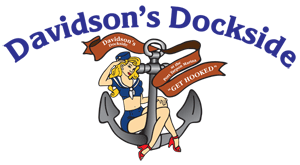 We pulled into the South Side Marina in Providenciales, Turks and Caicos at about 4pm. After arriving, I proceeded to meet with the customs and immigration officials to handle the clearing in procedures. All of the officials were extremely professional and pleasant and although at times it can feel like things are in slow motion in the islands, we were cleared in and the Turks and Caicos courtesy flag was flying from our jack staff in time for dinner. Given the distances we had travelled the previous couple of days and the length of the trip from the Turks and Caicos to the Dominican Republic, we elected to spend a couple of days resting up in Providenciales. On Saturday, January 24th, we got underway for what would be our third country in one week.The trip from Providenciales to our next stop, Puerto Plata, Dominican Republic took us across an area known as the Caicos bank. As the name implies, we had to run about 50 miles across an area where the average depth was 8′ or less and there are numerous coral heads scattered throughout the area that reduce that depth even more. As we exited the Caicos bank into the North Atlantic the depths go from the aforementioned 8′ to more than 6000′ in the distance of less than a mile. That kind of sudden change to the shape and depth of the sea creates an extensive area of strong currents and square waves that provided us the roughest ride we have experienced to date on this trip. Although we had seen larger seas when we crossed from the Abacos to Eleuthera, the waves had a much longer period, making them much easier to traverse. For a distance of about 20 miles we were constantly burying the bow of the Pilot’s Discretion into the oncoming waves. Once sufficiently clear of the Caicos Bank, the ride in the Atlantic became much more pleasant and we settled in for the next 90 miles of our journey. Approaching the Dominican Republic, it is clear that both the topography and the climate are far different from the Bahamas. The mountains of Hispaniola become visible both on radar and to the naked eye about 40 miles out. The mountains in conjunction with the abundant moisture from the Atlantic create towering cumulous clouds that usually result in afternoon thunderstorms. 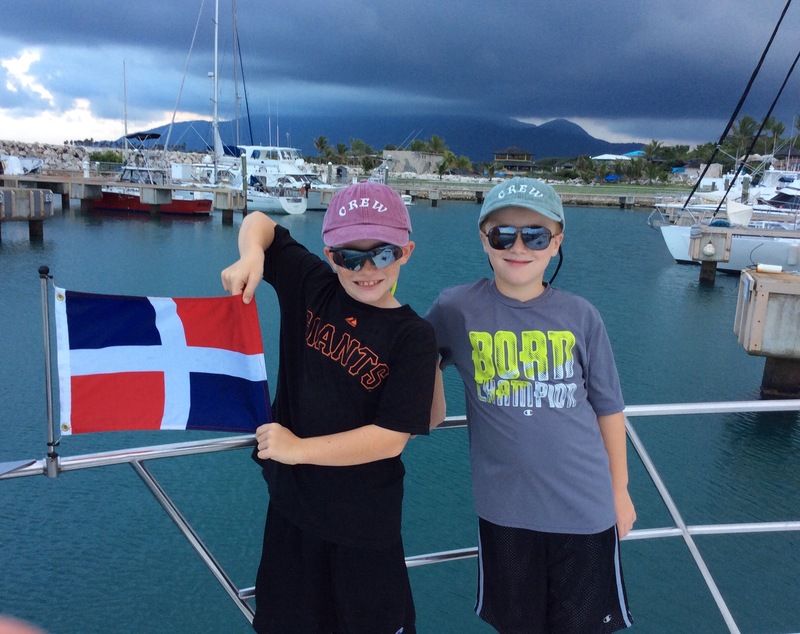 After clearing customs and immigration at Ocean World Marina in Puerta Plata, Domincan Republic, the boys manned their flag duty station once again to fly the Domincan Republic courtesy flag. The current weather forecasts indicate that we will have a few days to explore Puerto Plata before we have a sufficient weather window to embark on the next leg of our journey. We intend to use that time to explore the Dominican countryside and culture. We will report what we find in our next post. This entry was posted in Turks & Caicos and the Dominican Republic and tagged Acklins Island, Dominican Republic, Mayaguana, Ocean World, Providentiales, Puerto Plata, Turks & Caicos on January 28, 2015 by Randy.